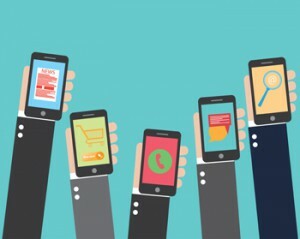 Ways To Survive The "Mobile-Pocalypse" | Blue Mountain Data Systems Inc.
April 21st is the day that Google changes forever as it relates to mobile websites. With the advent of the mobile optimization algorithm approaching, now is the time to implement mobile best practices, or your organization’s website may be off in a ditch. How to fix it: Use the Fetch as Google feature in Google Webmaster Tools so that you can see how a Googlebot is seeing your content. You should also check your robots.txt in Google Webmaster Tools and test your mobile pages with the Mobile-Friendly Test. This happens most often if you have separate mobile URLs because it forces you to redirect mobile users on each desktop URL to the right mobile URL. How to fix it: Use a responsive web design. This will automatically serve the same content for both desktop and smartphone users. You can also check the Smartphone Crawl Errors of your Webmaster Tools and you can simply see if any faulty redirects were detected. Sometimes companies have their websites setup so that users can see a page on a desktop, but when they try to visit that same page on a mobile device there is a 404 error. How to fix it: Check the Crawl Errors report in Webmaster Tools and look at the smartphone tab to see if any URLs are 404 errors. Once again, a responsive Web design should also fix this problem. For more details on how to repair mobile web design issues, see the full Small Business Trends article.